I had one simple task. That’s it. The same one simple task I’ve had since I bought the new handle 4 days ago. So I installed the latch and the strike. Easy peasy. 2 whole minutes. Then I hit a snag. The new handle base is ever so slightly smaller than the previous one. Crap. Now I need to paint. I love to paint. But I’m not wearing paint clothes and I ALWAYS get paint on myself and my clothes. ALWAYS. I seriously have 3 long sleeve and 3 short sleeve painting shirts, a pair of painting jeans, a pair of painting sweats and a pair of painting shorts. I had more but I recently purged. I also have painting socks and shoes…but I digress. I decided to brave it and paint without paint clothes…because I need to get back to writing. So I touch up the paint. For the first time I didn’t get paint on my clothes. All over my hand, but not the clothes! Victory!! Happy dance. Oooh! I need dancing music. Where’s my iPod? Mid-way through Everything is Awesome I realized I now have to wait for the paint to dry before I can finish installing the handle. Crap. What should I do while I wait? Oooh! I know! I can paint the sides of the guest room door that I somehow forgot to paint when I painted the front and back of the door. No. That would require paint clothes for sure and a tarp so that I don’t get any more paint on the carpet. And if I start painting then I will want to pull out my canvases and work on one of my in process masterpieces. (I use the word masterpieces loosely.) This will completely hinder my plan of writing all day. What’s the point of all this random (besides giving me something to do while I wait for the paint to dry)? The point is how many times do we get “so busy” and distracted by little things? They may even be good things or shiny things. But being busy actually prevents us from focusing on the important things for our purpose, goals, and dreams. Do yourself a favor and take some time with the Lord today about your distractions. Ask Him for wisdom and revelation about your purpose (the big picture/long term goal). The thing that’s so big it requires partnership with Him. What about the short term? What’s in your hot little hands right now that you need to focus on? What are the things distracting you that need to be set aside or let go of? Ephesians 1:15-19, tells us that we can have a spirit of wisdom and revelation to understand what God has for us in the short term (our calling…i.e. what is in our hands right this minute) and long term (our purpose). If you ask Him, He will answer. 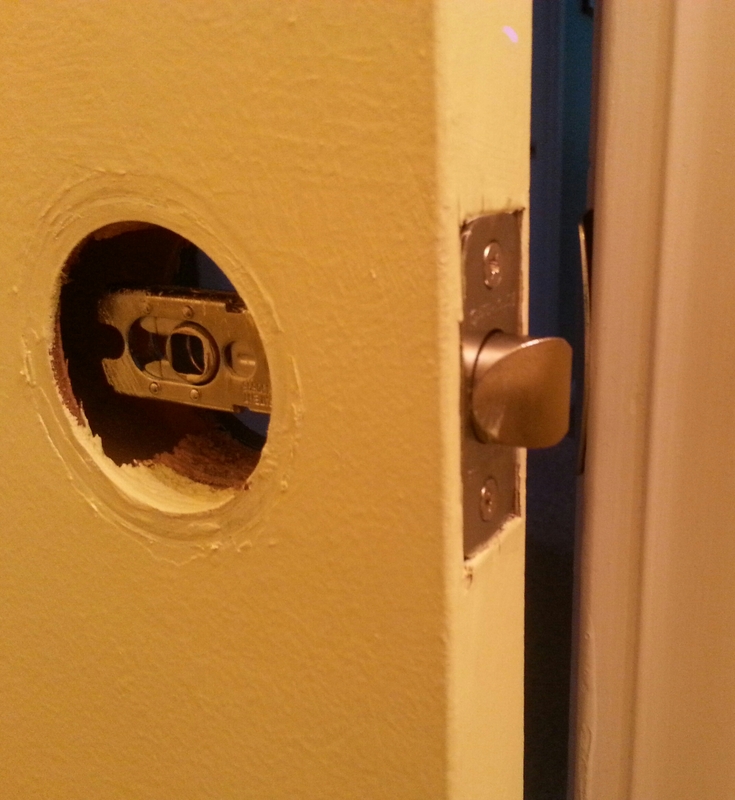 Now…I need to go finish installing my bathroom door handle. Then I need to focus on my current writing project. By Jillbeingstill in Priorities on June 24, 2014 .